The eruption of Podemos onto the political scene in Spain is unbalancing the power structures, not just in Spain but across the European Community, on at least two fronts. First, its rapid rise has already obliged the older parties to change tactics drastically or be overwhelmed — and is thus presenting a model to insurgent parties across Europe. And secondly, if this new party in Europe’s fourth largest economy should come to power and stick to its program, it will present a far more formidable challenge than tiny Greece’s Syriza to the “troika,” the linking of the European Union, the European Central Bank and the International Monetary Fund to protect creditors at no matter what cost to debtor nations and their people. Thus it is both a threat and a promise. Podemos has grown at a dizzying pace. Born as a pressure group only in January of last year, registered as a political party in March, and on its first trip to the urns on May 25 won over a million and a quarter votes from all parts of Spain, electing its entire slate of five to the European Parliament, astounding competitors and even themselves. Since then, as parties prepare for municipal and then national parliamentary elections — by law, to be held no later than December 20 — support for Podemos has continued to soar. How could all this happen so fast? Two quick answers: First, it hasn’t been as sudden as it seems, to those who haven’t been paying close attention to alternative politics in Spain. And second, the whiz kids of Podemos are, so far, the savviest communications mavens in Spanish politics. Protest movements have a very long history in Spain, and memories of the Spanish Republic (1931-1939), resistance to Franco, and subsequent union and political rallying are all part of the tradition. The Socialist Party (Partido Socialista Obrero, PSOE) and Izquierda Unida (IU, United Left), a coalition of radical groups including the Communist Party both trace their history to those struggles. But the clearest antecedent to Podemos goes back only four years, to the summer of protest that began with the occupation of Madrid’s Puerta del Sol on 15 May 2011 — and is thus called “15-M.” With this spark, more and more people from all parts of Spain and all walks of life, young and old, pronounced themselves equally indignados (“indignant”) — with the economic crisis that had begun just three years earlier. It was a life-affirming choice for many of them, indignation against the negativity of depression. And more and more of people flowed into other public spaces, not just in Madrid but in all the major cities, creating live-in political discussion camps that lasted throughout the summer. Thus 15-M became a laboratory for radical change and political self-education, where people of different backgrounds and specific problems in the economic turndown encountered one another and broadened their outlook and their demands. No party or union organized or controlled it, and neither IU activists nor Socialists nor union officials who participated enjoyed any special influence — discussion groups were entirely open to anyone who wanted to speak up. 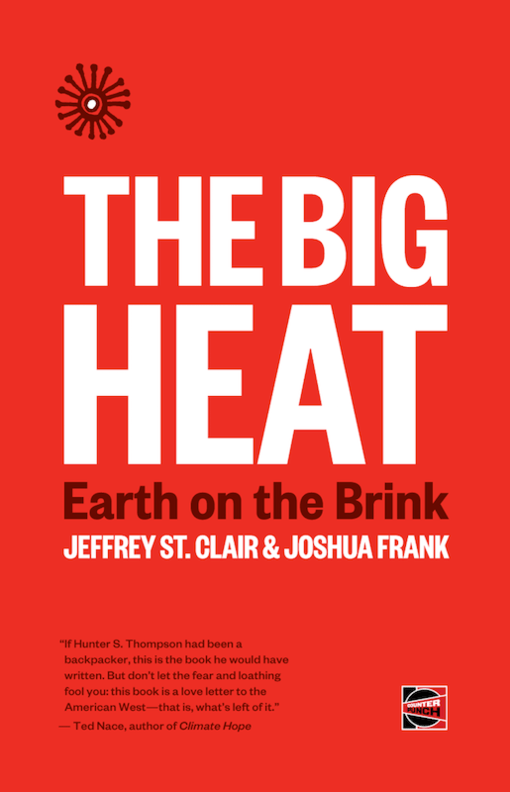 They developed scores of action plans to confront joblessness, the wave of evictions of people unable to pay their mortgages, the cutbacks in public education and health services, and — a special cause of indignation — the flagrant self-enrichment of bankers and their allies blamed for bringing on this disaster. And on a national level, they called for a more responsive and participative politics, with the unifying, if rather vague, demand for “Real democracy now!” (Democracia Real Ya). After the summer, many of those actions were carried out in the neighborhoods, including quick-strike massing of protesters to prevent evictions. Veterans of 15-M also participated in many other actions, such as the massive “tides” (mareas) of demonstrators filling the streets in protest against budget cuts — a “green tide” in green T-shirts, against cuts in education, a “white tide” in white T-shirts to keep the hospitals and health services funded — and in the frequent protests by various unions. There were also more whimsical and even hilarious actions, for example where flamenco singers, dancers and musicians would slip into a crowded bank and burst out in rhymed and rhythmical denunciations of bank practices — often to the applause of customers and even bank employees. But it was not until the weekend of January 12-13, 2014, that a group of activists drafted and signed a manifesto titled Mover ficha — “To make a move,” as on a chessboard “to transform indignation into political change.” The 30 signers included university professors, writers, a well-known actor, and several union activists, mostly veterans of Izquierda Unida and one of its constituent organizations, Izquierda Abierta (“Open Left”), which had called the meeting. And all felt frustrated by the internal bickering and pointless posturing that had impeded left unity for more decisive action. They concluded their manifesto with these words: “In the streets we hear the constant cry, ‘Yes, it’s possible.’ We say, ‘We can.’” Or, in the Spanish original: En las calles se repite insistentemente “Sí se puede”. Nosotras y nosotros decimos: “Podemos”. To “make the move,” they decided that Podemos would need a unifying symbol and ways to get its message out widely and effectively. To solve both problems, they turned to a young political science professor and local TV host, Pablo Iglesias, to be their spokesperson. His pony-tail and quick wit were becoming known beyond the university community through his appearances on a right-wing talk show as the lone defender of leftist positions. And it didn’t hurt that he bore the same name as that other Pablo Iglesias, the revered founder of the Socialist Party in 1879. At a huge assembly in Madrid, Iglesias was eventually voted general secretary of Podemos, but only after considerable debate with a faction that wanted collective leadership. What many Podemos supporters prefer is a kind of “crowd leading,” like the “crowd funding” preferred for financing their campaigns. And even as a registered political party with elected officials, Podemos seems to be trying to be the “15-M” summer camp of constant debate and good spirits, and bottom-up decision-making and a constant open mike or speaker’s stand, turned into a national movement. Although the tight-knit group of professors at the UCM continues to be the principle strategists, competing voices within Podemos can make themselves heard. This approach has had enormous advantages in gathering, as a snowball effect, more and more supporters, none of them feeling rejected because of disagreements on any particular issue — because everything can be discussed and we are all supposed to be solidary and hear everyone out. That no doubt helps explain the brand new party’s success in the European Parliament elections. Podemos’ very broadly stated proposals — to “end corruption” and “combat austerity” — were refreshing compared to the other parties’ laments that they “could not” — no podemos — do more than follow the dictates of the European Union and its Central Bank. But it leaves us wondering what they would do if they should actually come to power. Pablo Iglesias and others in the leadership have also been careful to avoid describing their program as “left,” despite their own well-known personal histories in IU and radical organizations, so as not to alienate any potential supporter. Instead of presenting a class analysis, they continually denounce “the caste” — la casta —, a vague category for anybody thought to have privilege, as against “the people” — la gente — which means everybody else. One wonders: Is not a full-time professor at the UCM thus part of the casta? And leaders in the Socialist Party and in IU ask, if you’re not “left,” then what do you stand for? The answer is simply, “for the people, against the caste” — or even more vaguely, as the title of Monedero’s most recent book puts it, for “la gente decente,” the “decent” people. So you see what that makes you, if you don’t support Podemos. But it’s not just the old left that is flustered by Podemos’ tactics. In the upcoming municipal elections, Podemos has decided not to run candidates under its own name, so as not to “burn out” the Podemos label too soon — Iglesias and his crew fear that the local structures, or “circles,” are not yet organized enough to win in many places, and electoral losses will be bad for the image. But that doesn’t mean that those circles aren’t campaigning — under new, ad hoc names and in concert with other insurgent groups. Incumbent mayors from the conservative Popular Party are so worried that they have asked party headquarters in Madrid to give them a script to answer Podemos charges that they are the “caste”— which so far the party has denied them. Podemos has been accused of offering too-simple solutions to complex problems. That is certainly true, but the accusation is equally applicable to the Rajoy government in Spain and the European Central Bank and Angela Merkel: staying the course of “austerity” has been a far too simple solution to debt, deficit and depression. And worst of all, its failure has been demonstrated over the past six years, but the German government and the Bank have refused to budge. If a Podemos government gets elected and continues to function in the flexible, open-to-debate manner that it started, it should be more pragmatic in finding solutions that work and changing those that don’t. Or maybe not. We won’t know until it happens. On Saturday, January 31, its “Rally for Change” drew over 150,000 supporters to Madrid from all over the country, and its support in the polls now surpasses that of the Socialists, who have governed Spain for 22 of the 33 years since re restoration of free elections. And its apparent support comes a very close second to that of the currently governing conservatives, the Partido Popular. But there is no assurance that Podemos will still be up front by December elections. Both the Socialists and Izquierda Unida are expecting many of the new adherents of Podemos to tire of the lack of ideological definition and return to the traditional left. Or possible to split off into subgroups, with slightly different names as is happening now, with competing slates of Podemos candidates in primaries for local elections in Madrid and elsewhere. And besides the internal tensions inside this, as in every party, Podemos leaders are suffering ferocious attacks by their opponents, especially on the financial dealings of some of those UCM professors. Nobody who knows history expects Podemos, or Syriza either, to fulfill all the expectations of its supporters. But each in its own way (obviously, conditions in Greece and Spain and the potential alliances in each are vastly different) is shaking to pieces the older Tweedledee and Tweedledum two-party systems. Which have more and more come to look like two faces of a single party, the one subservient to the big financial interests. And that has been a system that produces increasing inequality at such a rate that it is destroying itself, driving its own opposition. Geoffrey Fox is a sociologist focusing on politics and social change. His books include Hispanic Nation: Culture, Politics, and the Constructing of Identity and other titles on Latin America. Website: http://geoffreyfox.com/. To distinguish between people with similar names, Spaniards may append the second, maternal, surname; the Podemos leader’s full legal name is Pablo Iglesias Turrión, the PSOE founder was Pablo Iglesias Possé.